Over the next few weeks, First Person Plural will be featuring a series of posts from poets who were published in our latest issue of Poet Lore, Volume 106 3/4, Fall/Winter. They will be covering topics such as the genesis of their poems published in the issue, their writing and revising processes, and their experiences with Poet Lore and The Writer's Center. Lee Rossi, author of "To the Blackout of '69, Ithaca, New York" (p.99). Charles Jensen, author of "Moratoria" (p.101) and "The Year of Living Dangerously" (p.17). Buy the new issue here or subscribe to Poet Lore here. The Winter/Spring 2012 Workshop and Event Guide is now available; you can pick up your copy at TWC or get it online at our website. Fully Engaged: A Profile of Clifford Garstang by Barbara Esstman, with Extended Material Not Available in the Workshop and Event Guide. Barbara Esstman: What was your experience with a small, independent publisher? Re: distribution, P.R., and all that jazz? Clifford Garstang: My experience with Press 53 was great in terms of the book design and editing. Kevin Watson, the publisher and editor, had some terrific ideas, but he also listened to my suggestions. Marketing and distribution are tough for a small press with limited staff and resources, though, and the lesson I’ve taken from the experience is that an author really needs to learn how to reach readers online, through social media, blogs, and whatever other avenues might be available. A small press can’t do it all—the author has to be fully engaged in the process. And I really mean fully. And I guess it was an okay experience, because I’m going to do it all over again with a new book in 2012! BE: When publishing is so difficult these days, why should people go on writing? CG: Writing and publishing are two different things, of course. For most writers, publication is one goal, but I certainly don’t think of it as the only goal. Writing is in and of itself a worthwhile occupation. Having said that, there are so many more avenues to publication these days that it’s really only traditional publishing that is out of reach for a lot of writers. It’s increasingly possible to connect with readers online or through eBook formats, and so writing makes more sense than ever. And sometimes that can be more lucrative than the traditional approach, too. BE: Since we have so many lawyers taking workshops at TWC, what advice would you give them in regards to switching off, re-directing, or otherwise channeling their legal training into a positive force for their fiction? CG: First, I think any profession is great fodder for fiction— you run into all kinds of characters and peculiar situations that may spark ideas for writing, even if you aren’t specifically writing about your professional field. Lawyers are no different, and there are probably great characters lurking in everyone’s daily life—be on the lookout for them and their stories. Second, I sometimes think of fiction as an argument that I’m building—I have a goal in mind for where I want the reader to end up at the conclusion of the story—and the text is all about amassing evidence that moves the reader in that direction. Lawyers are great at that! Third, sometimes I think that psychologists have an advantage as fiction writers because they know all about twisted personalities, and that can make for great reading. Lawyers, though, have a good sense of narrative and plot, not to mention suspense and drama. Use it! But—and this is a very big but—most lawyers do have to turn off what they’ve learned about legal writing, which can be very dry. How to do this? Read good fiction. BE: How heavily did you draw upon your life in rural Virginia and how did that material shape-shift during the writing process? CG: When I began writing the stories in the book, I was relatively new to rural Virginia, having spent all of my adult life in cities, including Chicago, L.A., Boston, D.C., and a few foreign capitals. Each story in the book has its own plot (although they share a setting, which looks a lot like the area where I live, and also have overlapping characters), but I found myself coming back to the idea of people who find themselves in unfamiliar situations and landscapes, just as I was also an outsider in that world. But the more stories I wrote, the more comfortable I was in my surroundings, I think, and so by the end of the writing, I think the characters also might have become more comfortable. BE: Can you tell us something about your new book coming out in 2012 and where it will be available? CG: The new book will probably come out in Fall 2012. Currently titled What the Zhang Boys Know, it is a novel in stories—a form that fascinates me—set in a condo building in Washington, D.C. The book consists of 12 stories, half of which have appeared or will soon appear in journals, including Blackbird, Tampa Review, cream city review, New South, Wisconsin Review, and FRiGG. Ideally, a few of the remaining stories will be spoken for also before the book comes out. Although the stories all stand alone, the book as a whole is about a man coping with the tragic death of his wife and his goal of finding a new mother for his two young sons. Barbara Esstman, M.F.A., is a NEA, VCCA, Virginia Commission for the Arts fellow, and a Redbook fiction award winner. Her two novels, The Other Anna and Night Ride Home, were both adapted for television by Hallmark Productions. In approximately 4 days, 10 hours, 5 minutes, and 5 seconds, NaNoWriMo will begin. If you didn't know, November is National Novel Writing Month and at the NaNoWriMo website you can sign up to participate in 30 heady days of novel-writing. This year, you can do it, and TWC is here to support you. Our Writing Staycation workshop with Zahara Heckscher takes place the week of 11/7-11/11. In the Winter and Spring, we'll hold workshops on revision, including The Power of Revision: From Work-in-Progress to Final Draft with Naomi Ayala and Revising the Novel with T. Greenwood. Stay tuned, and start writing! If you're a writer or poet looking to get into the Halloween spirit, here's a fun event you might want to check out. The Story League, a local group for writers, poets, actors, and comedians who want to perform onstage, is hosting a Halloween themed mixer at Black Fox Lounge in Dupont tomorrow night. Halloween stories and happy hour cocktails will be involved. Thursday, October 27 at 7 P.M.
Love Jane Austen? Love mysteries? The Annapolis/Anne Arundel County chapter of the Maryland Writers’ Association (MWA) hosts murder mystery writer Tracy Kiely. Her latest, Murder Most Persuasive, is a murder mystery twist on Austen’s Persuasion. Her other novels include Murder On the Bride’s Side and Murder at Longbourn. Wednesday, November 16 at 6:30 P.M.
Free to members and first-time guests. $5 for non-members. 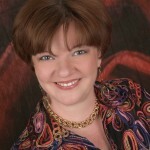 You can learn more about Tracy Kiely at www.tracykielymysteries.com and more about the MWA at www.marylandwriters.org. Come join us at TWC this Sunday October 30th for a reading from TWC workshop leaders and poets Elizabeth Rees and Elizabeth Poliner. Rees reads from her recent book, Tilting Gravity, and Poliner reads from her new chapbook, Sudden Fog. Sunday, October 30 from 2-4 P.M.
Elizabeth Rees, M.A., has taught at several leading colleges, including Harvard University, the U.S. Naval Academy, Howard University, and in The Johns Hopkins University’s graduate program. She works as a “Poet-in-the-Schools” for Maryland State Arts Council. She has published over 250 poems in journals such as Partisan Review, The Kenyon Review, AGNI, North American Review, among others. She has four award-winning chapbooks, most recently, Tilting Gravity, winner of Codhill Press’ 2009 contest. Elizabeth Poliner (J.D., M.F.A. ), poet and fiction writer, is the author of Mutual Life & Casualty, a novel-in-stories. Her short fiction has appeared in The Kenyon Review, Other Voices, Ascent, and others, with several Pushcart nominations. Her poetry has appeared in The Southern Review, Prairie Schooner, Seneca Review, and others. A recipient of seven individual artist grants from the D.C. Commission on the Arts, she has also been awarded scholarships to the Bread Loaf and Sewanee conferences. She teaches in the M.F.A. program at Hollins University as well as at The Writer’s Center. And year after year, editor after editor, she says the exact same thing. We’re writers. We know all about voice, right? When it comes to writing what exactly is “voice”? Maybe voice isn’t so easy to define with “mere words,” but like Supreme Court Justice John Paul Stevens said of obscenity, we “know it when we see it.” Sarah Aronson says “When I first started writing, I thought that voice was some mystical element I either had or I didn’t. Now I know that just like everything else, voice can be taught. It can be acquired. Through hard work, intention, and knowing all your characters, every writer can find an authentic voice for their book.” If voice is the thing that causes editors to wade- nay snorkel- through the slush we need to learn to spot it—but more than that we need to discover our own unique voices and begin to capture them in words on the page. 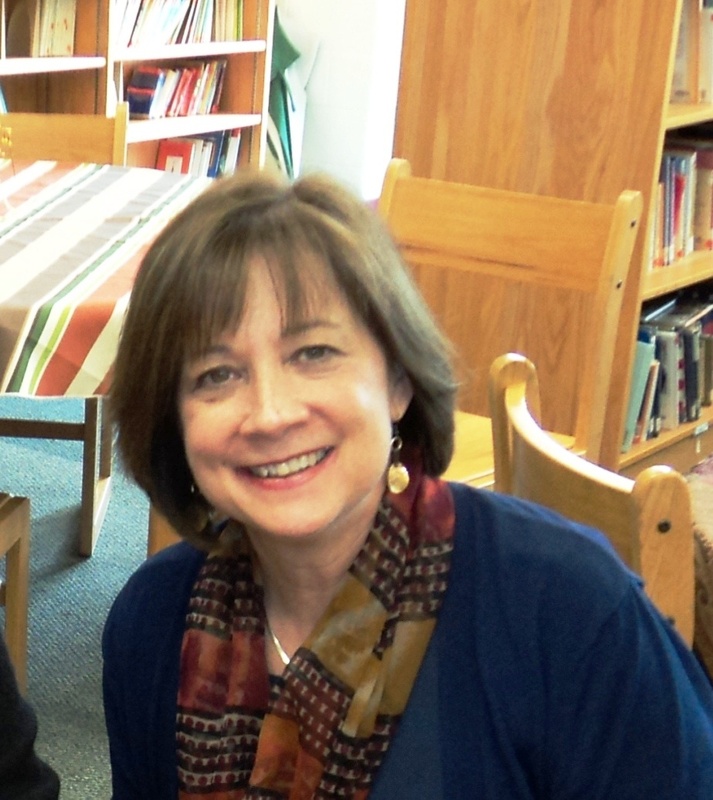 Join Sarah, me and Sarah Sullivan at our one day Writer's Center workshop “Writing for Young Readers: Finding Your Voice.” I’ll kick off the morning with an introductory talk- I HEAR YOU LOUD AND CLEAR- Learning to open our hearts, minds, and ears. 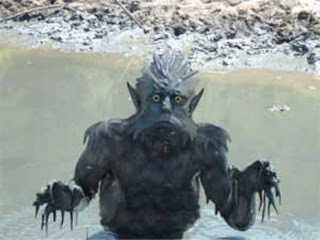 Sarah Sullivan will follow with KEEPING IT REAL- IS THAT MY VOICE OR IS IT MY EVIL TWIN. Sarah’s lectures and exercises have inspired writers to create award-winning work in voices they never suspected they had (REALLY! It’s true!). Sarah Aronson will round things out with DEVELOPING VOICE THROUGH DIALOGUE: How secondary characters can help you find your voice. Sarah is an expert teacher and her classes and workshops have yielded many debut novels and newly discovered talent. All day long we’ll have “talk breaks” and writing workouts. Plus there will be plenty of opportunity for informal questions on any topic from character development to publishing and marketing. Sarah, Sarah and I look forward to seeing you there, loud, proud and ready to raise your voices! Tami Lewis Brown, along with Sarah Sullivan and Sarah Aronson, will be leading the one-day workshop Writing for Young Readers: Finding Your Voice on Sunday 11/6. You can sign up for their workshop here. Experienced lecturers and teachers, within the last five years Sarah Aronson (above), Sarah Sullivan (center) and Tami Lewis Brown (left) have published nearly a dozen picture books and middle grade and YA novels with major publishing houses. They hold M.F.A.s in Writing for Children and Young Adults from Vermont College of Fine Arts. My grandmother was known for saying, “all beginnings are hard.” Although I don’t believe that she ever took pen to paper for the sake of storytelling, I most often think of this little pearl when I start a new piece of writing. Whenever I sit down to a new project be it a book, article, essay or, yes, even a blog post, my grandmother’s simple yet wise words remind me that it’s getting those first few thoughts out that can be writing’s most challenging task. It is with this in mind that I focus on beginnings when I lead workshops like my upcoming Boot Camp for Writers. Since a blank page cannot be tweaked, edited or published, I like to give workshop participants the chance to start several different pieces and start the same piece several different ways. I open each session by asking participants to begin a story based on a prompt. One week the prompt might be to write about a time when something was not as it seemed while the next week it might be to write a story that centers on a word or phrase. The prompts help erase the worry of not having something to write about by sparking a memory or story that may otherwise not have been on the surface. I always hand out at least one non-fiction piece that I think illustrates the prompt well and then the work of finding those precious beginnings begins. Sometimes I might ask the writers to stop and start over by telling the same story from the ending thereby making the ending of the piece the beginning of the piece. Other times I encourage my students to start the same story from another point of view or in a different voice. We then compare, contrast and discuss the different versions and, more often than not, the strongest beginning is not the first one. Each approach gives way to a different kind of story telling and the writing tends to get crisper, stronger and more focused with each attempt. By the time the workshop ends, participants walk away with several in-progress pieces and usually have at least one that is screaming to be finished. My grandmother didn’t have any expressions about endings (although she inexplicably liked to say “there is more than one way to skin a cat”) but I do know that you can’t finish a story without starting it. I hope to see you in Boot Camp for Writers so we can explore the hard but important work of beginnings. 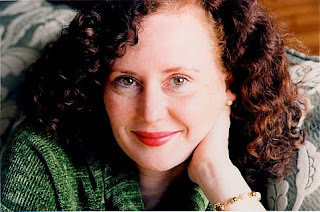 Beth Kanter is the workshop leader for Boot Camp for Writers, which will be on Thursdays at TWC from 10/27-11/17. You can sign up for her workshop here. 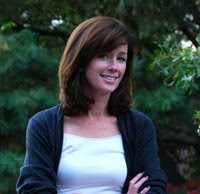 Beth Kanter is a freelance feature writer based in Washington, D.C., who specializes in parenting and travel stories. Beth’s essays and articles have appeared in a variety of publications including Wondertime, Parents, Mom, Kiwi, American Baby, Working Mother, Shape, Fitness and the Chicago Tribune. She is the author of Day Trips from Washington, DC: Getaway Ideas for the Local Traveler and the forthcoming Food Lovers’ Guide to Washington, DC: The Best Restaurants, Markets & Local Culinary Offerings, both from Globe Pequot Press. She also contributes to the Fodor’s and Michelin guidebook series. Beth has an M.S.J. from Northwestern’s Medill School of Journalism. You can read samples of her work at www.bethkanter.com. A raw comedy by one of Canada’s foremost playwrights, TOUGH! is an honest and intimate look at the very adult consequences of very young love. Viciously smart, extremely funny, and pulling no punches - especially to the face - TOUGH! 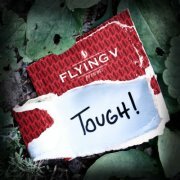 takes Flying V’s mission of fearless content to a new personal level. Featuring Kristen Garaffo*, Zachary Fernebok*, and Katie Jeffries. For more information email flyingvtheatre@gmail.com. Flying V is theatre for people who don’t think they like theatre. Flying V is at the intersection of Big Ideas and Intimate Moments. They are an exciting, ensemble-based company dedicated to the development of vibrant new works which carry a distinct voice and style. The company is made up of courageous actors, writers, theatre-lovers, and directors committed to productions of engaging, high impact theatricality and fearless content. As many of you know, we were very sorry to hear of the recent passing of Cicely Angleton. She was a poet, workshop participant, Honorary Board Member, and a long-time friend of The Writer’s Center, She was 89 years old. Cicely was author of two collections of poems, A Cave of Overwhelming (2005) and Selected Poems (2007). She also contributed to Inventory, an anthology on aging, published in 2008. Several years ago she was a frequent participant in poetry workshops with Ann Darr. More recently she often attended poetry workshops with Reuben Jackson and Elizabeth Rees. A memorial service will be held for Cicely in Arlington on Saturday, October 22. We also want to invite you to a program in celebration of her life here at The Writer’s Center on November 13. The memorial service will be held at 1 pm October 22, at Rock Spring Congregational United Church of Christ. The church is located at 5010 Little Falls Rd., Arlington, VA 22207. Telephone: 703-538-4886. The Writer’s Center will host a program in memory of Cicely at The Writer’s Center, 4508 Walsh Street, Bethesda, MD, at 12:30 p.m. on Sunday, November 13. Please join in celebrating her remarkable life. We’re inviting participants to read a poem by Cicely, or one inspired by her, or to share a story. We’d like to thank her daughter, Guru Sangat, who has helped to select the date. Everyone knows that exercise is good for our health…whether we follow through on this good advice or not is another issue. Regular exercise burns calories and builds muscles. I can’t say that writing exercises will burn calories (if only! ), but writing exercises definitely will develop and stretch and build your writing muscles. That’s why I put together a one-day class composed entirely of guided writing exercises: Flex Your Creative Muscles. The idea is that these exercises will challenge your mind in a new and exciting way, pushing you to come up with a forgotten memory, perhaps, or an insight into the characters in the novel you’ve been working on, or the opening of a story that you can’t wait to finish at home, or a new way of viewing the familiar. Many of these exercises are easily replicated at home, so you can keep going on your own long after our day together is done. Writing exercises are all about taking chances and trying new things, so it’s important that the class environment is one of acceptance and support. To that end, while all are encouraged to share their work, we will not be critiquing our writing during this session. Instead, we’ll applaud our bravery and admire our results…after all, getting words on the blank page means that there’s something to revise and improve later. So don’t be afraid if you’re a beginner—and if you’re an experienced writer, I promise you’ll uncover some muscles you didn’t know you had. While I’m always excited about every class I teach at The Writer’s Center, this one is secretly my favorite because I participate along with everyone as much as I can, working on the exercises along with everyone else. There’s something magical about sitting in a room filled with creative people avidly writing, lost in their imaginations. Exercise is more fun with a buddy next to you, inspiring you to push yourself, and so is writing. I can specifically point to a big discovery about a character that I unearthed while taking—er, I mean teaching—this class. Trust me, writing exercises pay off: and we don’t even have to build up a sweat. Leslie Pietrzyk is the workshop leader for Flex Your Creative Muscles: A 1-Day Workshop, which takes place at TWC on Saturday 10/22. You can sign up for her workshop here. Leslie Pietrzyk is the author of two novels, Pears on a Willow Tree and A Year and a Day. Her short fiction and essays have appeared in many journals, including Gettysburg Review, Iowa Review, Shenandoah, The Sun, and The Washington Post Magazine. She teaches at The Writer’s Center, in the graduate writing program at Johns Hopkins, and in the low-residency M.F.A. program at Converse College. She is the editor of Redux, an internet literary journal that features previously published work not available elsewhere online, and she blogs regularly at Work in Progress. Flannery O’Connor said that anyone who survived childhood has enough information to write for the rest of his or her life. It’s true. We all have stories. The question is: what stories do we want to tell? The process of writing life stories guides us to dig deep and examine what is important and unique to each individual. This excavation requires a sharp focus and propels both beginning and advanced writers forward. Life Story writing lets us know ourselves and others, gives us direction, and offers up the seeds of inspiration. I have taught Life Stories for several years and have been fascinated to witness the tremendous support and encouragement that evolves within a group exploring this kind of writing. My students wanted more and asked for the next level. The Life Stories: Intermediate is the result of those requests. The five-session workshop begins Thursday, November 3 and will be held at The Writer’s Center, Maryland Hall for the Creative Arts in Annapolis. Students will learn how to make their story accessible to the reader including the use of fictional techniques — character development, dialogue, plot and endings. We will also address a dilemma I often encounter. Life story writers tend to amass several disparate pieces and are unsure of how to put them all together. For that reason, we will concentrate on discovering the themes and threads that tie many stories into a unified whole. Whether you choose a memoir, blog, letter to your granddaughter, or want the impetus to begin a short story or novel, life story writing gathers together what is worth telling. It is the tale of where we come from and who we are. Lynn Schwartz is the workshop leader for Life Stories: Intermediate, which will take place on Thursdays in Annapolis from 6:30-9 p.m. beginning 11/3. You can sign up for her workshop here. We invite poets, writers and visual artists of all hues and cultural corners to respond to the call for submissions on the theme of Social Justice. Tell us what it is—tell it like it is. 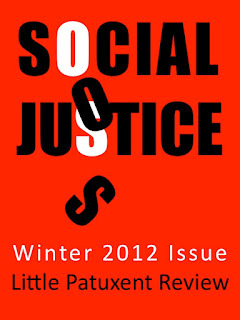 In the context of our upcoming Winter 2012 issue, we are looking for well-crafted work that explores principles of equality and justice, meditates upon and values human rights or touches on the dignity of every human being. Truth Thomas, working with Editor Laura Shovan, serves as our guest editor for the issue. The submissions period extends from August 1 to November 1, 2011. Click on the following link for a Call for Submissions flyer that you can share with others. Attention DC Area Aspiring Novelists and Poets! Washington Writers' Publishing House is an established DC publisher of fiction and poetry with deep roots in the DC literary scene. Their authors include Poet Lore editor E. Ethelbert Miller, and TWC workshop leaders and members Grace Cavalieri, Brandel France de Bravo, Jehanne Dubrow, Ramola D, and Andrew Wingfield. Recent WWPH titles have been reviewed by Publishers Weekly and other leading reviews, with book launch events at The Writer's Center and Politics & Prose. Get your work in by the December deadline! Chances are what’s probably missing is a clear “inciting incident,” the precise moment where your protagonist’s routine is interrupted, setting him or her on an upward path of tension and complication, toward that all important climax and, one hopes, a fully satisfying denouement. In other words, a plot. If you consider the Aristotelian plot model – or “bell curve on acid” as a workshop instructor once termed it – the inciting incident should occur early, at the starting edge of the curve, at a point where the story’s tension separates from the linear and spikes upward on a jagged ascent to the climax. It is the break from the routine, the ordinary. More important, it signals to your readers that they are not going to be reading a character study or even a flawless character study, but a story. They are going to read about a character whose life or immediate circumstances have dramatically changed. Everything that happened before the inciting incident is the “ordinary world” (the world we all share and know and read about in newspapers) while everything that happens after the inciting incident is the fiction we crave to escape from the ordinary world. One prime benefit of a crystal clear inciting incident is that when you do begin to apply flesh and add background to your characters, even their routine (whether in flashbacks or exposition) takes on added heft for the reader. "In the mail that morning there were two solicitations for life insurance, a coupon from the local car wash promising “100% Brushless Wash,” four bills, three advertising flyers, and a death threat from his ex-son, Anthony." What you’ve just read is the story’s first sentence, complete with a clear and compelling (if disturbing) inciting incident. Boyle could have spent several paragraphs describing a day in the life of Ken -- Anthony’s father and our intrepid protagonist -- perhaps by showing him shuffle down the driveway in bathrobe and slippers, grumbling about his neighbor’s shabby lawn, casting a wave at his wife who is hunched over a patch of petunias in the front garden. We would have read it, of course, because Boyle’s such an exquisite craftsman. But that would have been time and energy wasted on the ordinary world and Boyle understands we’ve come to him to escape all that. So he immediately delivers the moment where Ken’s ordinary world has ended and his new normal begins. "Afterward, he tried to reduce it to abstract terms, an accident in a world of accidents, the collision of opposing forces – the bumper of his car and the frail scrambling hunched-over form of a dark little man with a wild look in his eye – but he wasn’t very successful. This wasn’t a statistic in an actuarial table tucked away in a drawer somewhere, this wasn’t random and impersonal. It had happened to him, Delaney Mossbacher, of 32 Pinon Drive, Arroyo Blanco Estates, a liberal humanist with an unblemished driving record and a freshly waxed Japanese car with personalized plates, and it shook him to the core. Everywhere he turned he saw those red-flecked eyes, the rictus of the mouth, the rotten teeth and the incongruous shock of gray in the heavy black brush of a mustache – they infested his dreams, cut through his waking hours like a window on another reality. He saw his victim in a book of stamps at the post office, reflected in the blameless glass panels of the gently closing twin doors at Jordan’s elementary school, staring up at him from his omelette aux fines herbes at Emilio’s in the shank of the evening. The whole thing had happened so quickly…"
James Mathews is the workshop leader for Building a Page Turner, which will take place Wednesdays from 7-9:30 p.m. at TWC from 10/19 to 12/7. You can sign up for his workshop here. James Mathews is a graduate of The Johns Hopkins University Master of Arts in Writing program. He is the author of Last Known Position, a short story collection and winner of the 2008 Katherine Anne Porter Prize in Short Fiction. His fiction has appeared in many literary journals. He is also the recipient of a number of fiction awards, including three Maryland State Arts Council grants (1999, 2006, and 2010). His Web site is www.jamesmathewsonline.com.